The first woman to preside over either branch of the Alaska Legislature has died. Jan Faiks, a former state senator from Anchorage and president of the Alaska state Senate from 1987 to 1988, died at her home in Florida after she was diagnosed with cancer. She was 71. Faiks was an Anchorage teacher and school counselor and founder of a local gardening company before she was elected to the state Senate in 1982. She served two terms. She was a Republican and a strong supporter of the oil industry, the main source of revenue for Alaska's state government. "She was quite a powerhouse," said Martha Stewart, a former rural Alaska newspaper editor and legislative aide who became a close friend of Faiks' after the two moved to the Washington, D.C., area. Aside from her status as the first female Senate president, Stewart said, Faiks left another important Alaska legacy — the constitutional budget reserve, a savings account that helps the state maintain budgets when oil revenues fluctuate from year to year. Faiks was one of the chief architects of the fund, Stewart said. Former State Rep. Gail Phillips — who served in the 1990s as the second woman speaker of the state House — said Faiks was elected as part of an Anchorage-based movement to better control the costs of government, specifically the cost of operating the Legislature. "I think that's one thing you could give her credit for," Phillips said. Faiks also deserves credit for bringing some polish to the Legislature, Phillips said. She took barbs for imposing a dress code and other rules, but the Capitol in those days had a rough-and-tumble atmosphere that needed to be tamed, Phillips said. "She really tried to make the job of a being a representative more professional," Phillips said. Faiks was also well known for her herd of llamas, which she raised in Anchorage's Hillside neighborhood and later in Virginia. 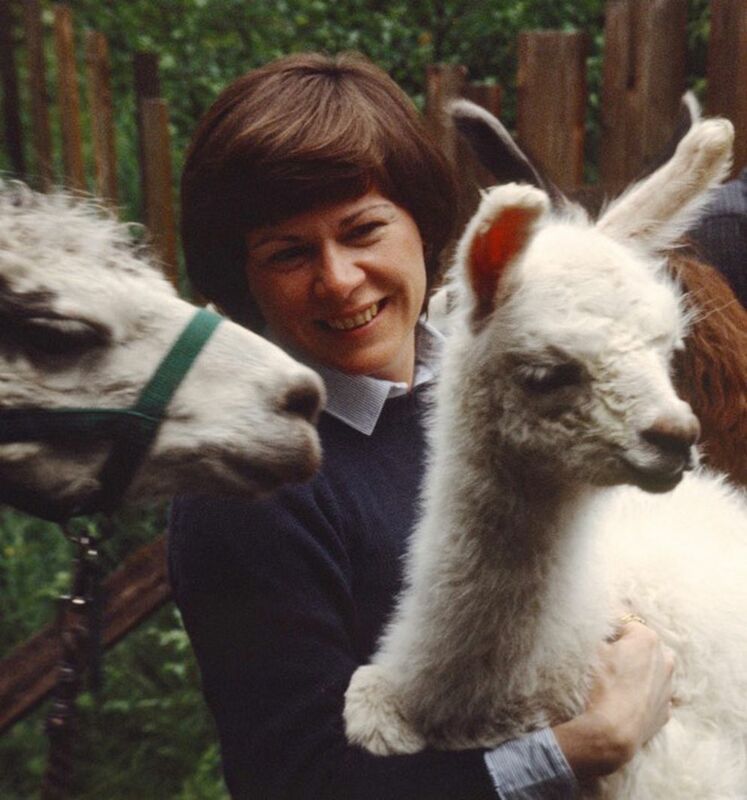 The llamas bonded Faiks, a Republican, with Stewart, a Democrat. In her post-legislative career, when Faiks and her husband, former State Sen. Lloyd Jones, moved to the Washington area, Stewart, then working in Washington for Democratic Gov. Tony Knowles, pitched in as a house-sitter at Faiks and Jones' Virginia home and llama farm. Their friendship endured even though Faiks was strongly Republican, Stewart said. "She was so partisan that when her husband caught raccoons in the barn, she made him take them to Maryland, where the Democrats were," she said. Although Faiks defended the oil industry in the aftermath of the 1989 Exxon Valdez spill and resisted an oil tax change passed over the industry's objections, she later had a falling out with two controversial oil industry figures who had been her supporters: Bill Allen, the founder and chief executive of the oil-services firm Veco, and Ed Dankworth, a one-time legislator who became a powerful oil and telecommunications lobbyist known for organizing the Senate. Faiks lost her seat when she was defeated in the 1990 Republican primary by Virginia Collins. Several years later, Allen became enmeshed in legal troubles, and was at the center of a wide-ranging Alaska political corruption case that netted him a prison term. Dankworth was indicated for corruption over action he took as a state senator but an appeals court dismissed the case. Faiks, after her legislative career ended, became an attorney after earning a law degree from Georgetown University. She worked for several years as a congressional staff member, served briefly as an assistant secretary with the U.S. Labor Department's Mine Safety and Health Administration and, in 2001, began work at the Pharmaceutical Research and Manufacturers of America trade association, where she became vice president for government affairs. Faiks and Jones, who worked for Rep. Don Young for several years, recently retired and moved to Amelia Island in Florida, Stewart said. Faiks was diagnosed with brain cancer just five months ago, she said.